Want to break free of beginning-level French and really learn to communicate effectively with native French speakers at an entirely different level? Welcome to Power French 2 Accelerated! 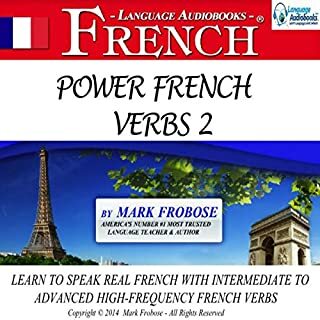 Power French Verbs I is a cutting-edge, fast and easy to learn five one-hour lesson program that teaches authentic French verbs in native context. A variety of teaching approaches are employed to encourage the learner to speak. A trained English speaking American instructor guides the listener through the program in English while a trained and educated native French speaker teaches beginning to high-intermediate French verbs the way they are really spoken in France today. 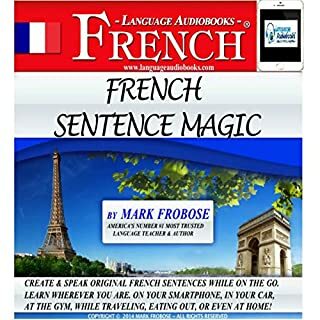 Break free of boring verb conjugation programs that robotically teach French in a contrived context and learn speak using High-Intermediate French verbs, just like native French speakers use. 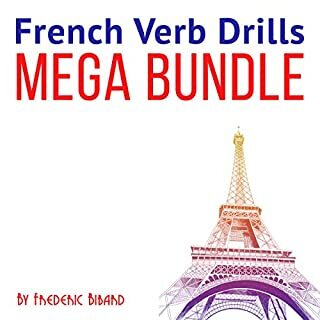 Want to break free of boring drills and canned phrases and create and speak your own original sentences in French with phenomenal speed and ease? Say hello to French Sentence Magic! Designed to teach you to speak Spanish while on the go, Power Spanish I Accelerated is a refreshingly intense, upbeat and positive audiobook language program whose 144 Study Units establish a challenging pace and friendly tone that are designed to keep you constantly motivated and learning to speak and understand Latin American Spanish at optimal speed. Expert language teacher Mark Frobose talks you through the program in English while several trained native female and male Latin American Spanish speakers teach you Spanish the way it is really spoken. Power French 3 has totally transformed my communicative ability in French. Through this versatile and enjoyable program, I actually learned to effectively use the French subjunctive among other advanced forms of French. Power French 3 with Mark Frobose simplifying massively complicated French structures into amazingly easy-to-understand plain English and his degreed native French instructor Chloé from Picardie France showing us how to speak perfect native French (wonderful accent to imitate). 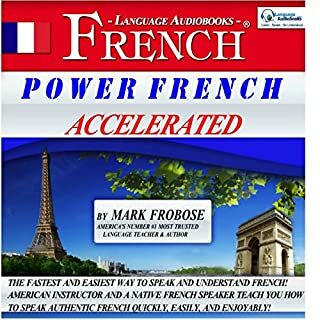 The other French language programs I have tried at this level are a complete amateurish joke compared to this instructional French masterpiece that Frobose has created. This includes Learn in Your Car, Paul Noble and Pimsleur to name the best of the bad. Not only is the teaching approach of Power French 3 masterful, it is also pleasant and enjoyable to listen to. When you add the built-in memory technique and the original sentence creation sections, this program is light years ahead of anything the competition will ever hope to create. One other plus …. Mark does answer his email and personally responded to a question about an upcoming tapescript of this fabulous program. Would you listen to Power French 3 Accelerated again? Why? If you’ve listened to books by Mark Frobose before, how does this one compare? What about Mark Frobose’s performance did you like? straightforward and organized. Not too wordy with explanations. This program was really very helpful to me to learn advanced French. 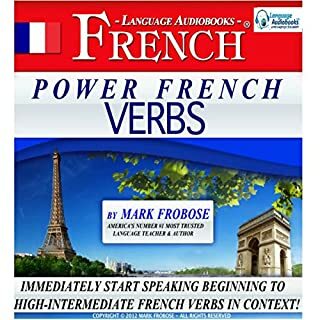 When I started, I learned simple sentence building, but this book has enhanced my French speaking to a far higher level, including plus que parfait and even the Subjunctive tense. The program has even taught me Idiomatic Expressions, which only the native French speakers know, along with complex verbs, which are of immense importance in French. My goal in to buying Power French 3 was to finally break out of mundane and basic French and speak more complex French in all tenses along with idioms. I continue to learn daily from this amazingly simple approach to a very complex language. I love it and the results I am getting. What disappointed you about Power French 3 Accelerated? The author describes himself as America's most trusted language teacher. However, altho his website promises to respond to queries within 48 hours I sent in two queries weeks ago (an initial query and a follow up) and both were completely ignored. Would you listen to another book narrated by Mark Frobose?